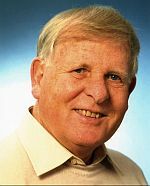 Dr. Klaus Klennert. social scientist, born 1949. Had lived and worked in Pakistan for almost five years. The first stay 1978-79 was for the field study of his dissertation on rural development in Faisalabad and villages of this district, in cooperation with the Agricultural University of Faisalabad. His wife joined him for some of the time in Faisalabad. The second time March 1990 - Dec. 1993 he was the Resident Representative of the German Friedrich Ebert Foundation (FES) in Islamabad, being responsible for all the projects of FES. Together with his wife and their two children they enjoyed the stay very much. 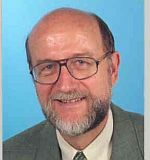 Klaus Klennert became a member of Rotary Club of Islamabad Cosmopolitan in 1991 and later PHF. Since his return to Germany he's a member of RC of Weilheim / Oberbayern, south of Munich, District 1840. In both clubs he has served in the boards for up to now 11 years. 2013 - 2014 he was the President of RC Weilheim. Professionally, he was Senior Project Manager with GIZ, the largest German governmental development agency. Being responsible for human resource development projects in food and nutrition security and institutional management in the water sector. 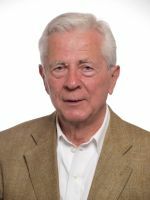 Ulf von Samson-Himmelstjerna, RC Neuwied-Andernach, D.1810, Diplomat (retd), 1992 - 1997 Political Counsellor German Embassy Islamabad and member of RC Islamabad Cosmopolitan. He still has several contacts with friends in Pakistan. His club has supported different projects of the Leprosy Hospital Rawalpindi. President of his Club 2012 - 2013. Sales Director/Head of the Sales Department (retd.) of an internationally leading German seed company. Regular contacts to Pakistan and other countries of the region during his professional life. Retired Head of a Hospital. His club has supported the Leprosy Hospital in Rawalpindi several times, also in form of matching grants with RC Islamabad Cosmopolitan. (honorary member of RC Worms-Nibelungen, D.1860). Former owner of several travel-agencies in Worms. His father had been active as military attache in Pakistan. Since then, friendly relations exist to several honorable families in Pakistan. Graduated in economies with long experience in IT, logistic and general management. Worked in different industries but most of the time during his professional life in the wood base industry. Retired in 2012 and started to work on a voluntarily base for the SES-Senior Expert Service to consult organisations in South East Europa and Pakistan. (honorary member of RC Greven, D.1870), who has lived and worked in Pakistan the first time in 1972 as Deputy Military Attachee of the German Embassy. 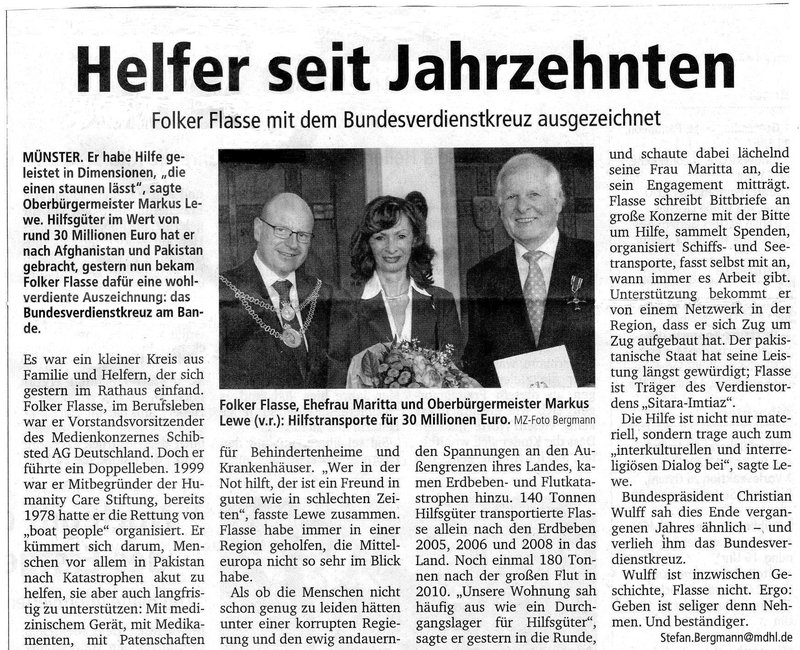 He is President of the Humanity Care Foundation which you may find under http://www.humanity-care-stiftung.de. This foundation supports social projects in Pakistan since at least ten years and has done a lot for relieve of the earthquake victims 2005 and also for the flood victims 2010. Rtn Folker Flasse is yearly in Pakistan. 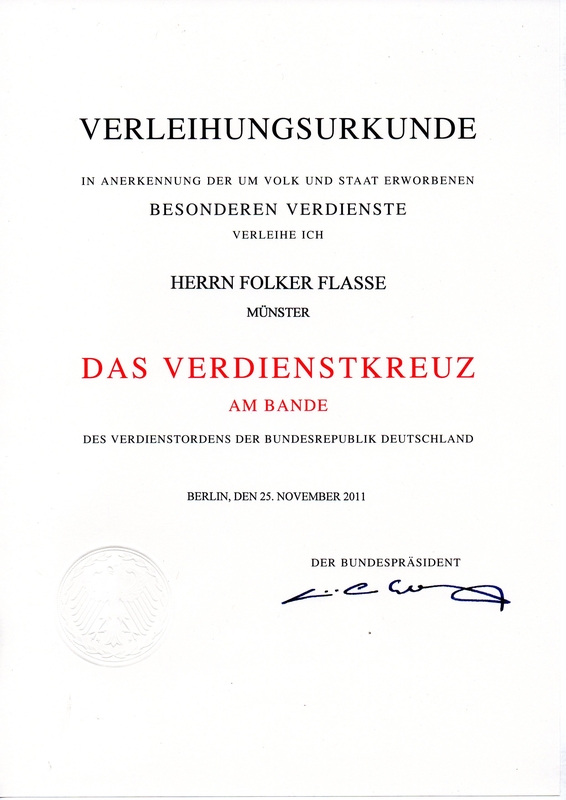 Am 23.März 2012 wurde Folker Flasse für seinen unermüdlichen Einsatz bei der Hilfe für Notleidende, mit dem Bundesverdienstkreuz am Bande ausgezeichnet. Wir alle gratulieren Folker Flasse sehr herzlich. Initiated on his own several projects in Pakistan (2 school buildings and several portable water stations). Rainer Späth retired in 2009 after a career in the insurance industrie that spanned more than 30 years. 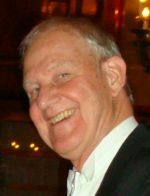 Since 1980 until his retirement, he was a self-employed insurance broker working for Allianz. A Rotarian since 1994 and District-Governor 2010/2011.